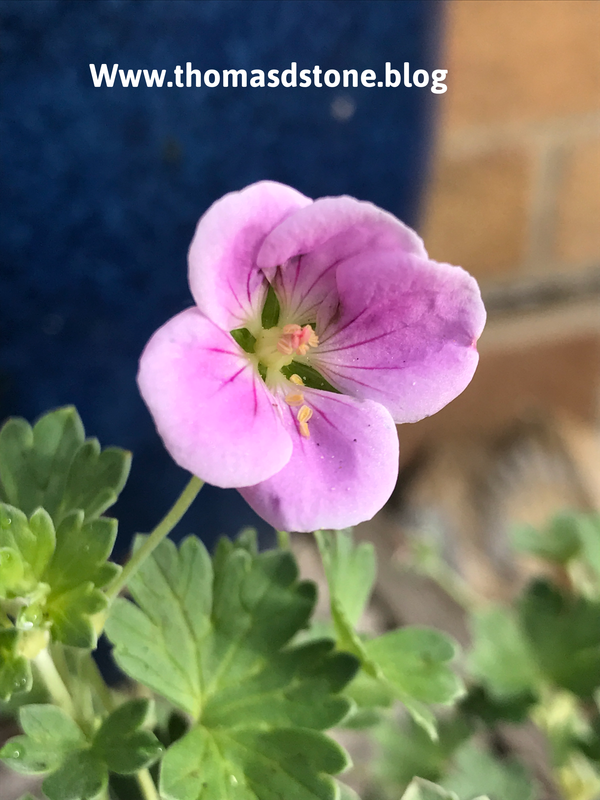 Geranium traversi var elgans is a delightful and very frustrating little Hardy geranium, also know as Chatham island geranium, this beauty hates winter moisture, indeed its taken me 6 winters to get this beauty though the winter, in the end a 60/40 grit and soil mix worked for me and made me very happy indeed, it’s a great little plant, well worth the effort! This delightful clematis is well a mystery to me, came in as vitacella alba luxurians and it’s certainly not got the lovely white and green delicate flowers of alba luxurians, it’s a form of viticella just need to work out which it is, sadly not going to stay where it is as I planted it next to a lovely dark rose called Falstaff, sadly I don’t think it’s going to work. Ah the great rose Lady Hillingdon makes it onto my super 6 on Saturday after being rose of the week a few weeks ago, this rose has really taken off this year and is making a great plant, just starting its 3rd flush of the summer with me now. It’s sentimental for me really as any house I have called home had one of these growing on the wall. Salvia gregii ‘Icing Sugar’ another tough plant, its needs to be with me and this pot, I always try to repot it every year, just haven’t this year with my leg but it’s still flowering well, will flower all summer up until winter months. The foliage is also wonderfully scented and it has managed to survive many winters with me. I also love the name! Previous post: Welcome home Granddad! That’s a nice selection, Thomas. The clematis intrigues me. Charlie Pridham (http://www.roselandhouse.co.uk) who holds a national collection of viticella, lists one for sale as simply “Clematis viticella” which looks remarkably like yours. So you may have a parent plant there. Since seeing that photo of the scary boot you have to wear, I haven’t asked about the leg. I guess it’s still causing a lot of trouble but hope it is, if slowly, getting better. The clematis picture just sent me scurrying out in the rain to see if the almost identical plant I have was flowering, which it is. I grew a few seedlings from a plant in my parents garden, perhaps 35-40 years ago. I think the one I have now may be a second generation version. I don’t know what the parent plant was and I’ve never been sure what mine is, but a viticella type, fairly close to the species, was what I thought most likely.